Surely each of us wonders what the job of the ones responsible for people’s lives is like. What happens backstage at the “theatre of life,” i.e. behind the closed doors of Polish operating rooms? We will find out thanks to Tomasz Wolski’s documentary “Lekarze” (“The Doctors”). 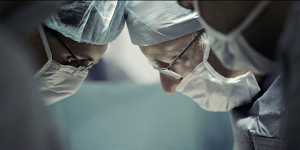 Hospital visitors have often heard stories about what happened in the surgery a given day. Inside where specialist medical consultations take place, or where the nurses prepare injections and medicine. Nevertheless, rarely is one able to find out anything more about the work of doctors. Making television series about emergency rooms and suburban hospitals is not going out of fashion, and familiarises us with the profession practised by people who look after our health.